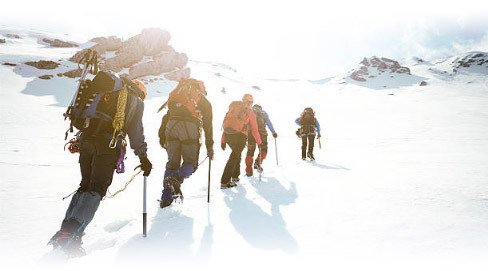 The history of Arctic Nutrition dates back to 1997, which was when we first started to develop our vision for the future. Our journey has been extensive, eventful, and exciting. At the beginning we were incomplete in many ways, yet we knew that we wanted to develop and produce efficient wellness products that would allow people to improve the quality of their life, and enhance their well-being. We faced many challenges from the very start of our business. Three years after we began our operations, the only one of the founders of the company still with us was our current CEO Teemu Penttilä. Arctic Nutrition® is a pioneer from Finland. We believe that every one of us has a growing need – and the right – for better well-being. Our task is to offer wellness everywhere across the world. The Finnish Arctic nature provides the best starting point for this. We have been producing high-quality wellness products since 1997. All our Wild Food products contain powerful berries and herbs originating from the nature of Finlands’ Arctic region. Every product is an important part of the whole. Our international cooperation network ensures that we always have at our disposal the most comprehensive and updated nutritional know-how and research data, and our products are always made to the highest quality standards. Wild food, matured in the Arctic nature during the short vegetation period under the midnight sun is abundantly packed with nutrients. It combines primal potency of nature and the healing effects of ancient folk remedies. We offer you the best possible raw materials so that you yourself are able to experience the power and wellness provided to you by the treasures of the Nordic nature. We believe that each one of us needs easy and simple access to a daily dose of vital nourishment to cope with our busy schedules. Our passion is to spread this core idea among all of us. – WELCOME INTO OUR WORLD. The unique climate of Finland, the impact of the Gulf Stream, and the untouched nature create the best growing environment for berries and herbs. This is the difference that the Arctic makes. The beginning of the world’s best company focused on vital nutrients. The work starts on designing the products and referral marketing models. The company chooses to use referral marketing, as it helps to maintain the high quality of the ingredients as well as to share information with customers efficiently. The test products are abandoned, and the development of the first nutritional product is completed, and preparations for launching the product to the markets begin. The launch of the Noni Fruit; the very first freeze-dried product on the global markets. It comes to Finland from the other side of the world, from Hawai’i, in the middle of the Pacific Ocean. The colostrum boom captures Finland. Researchers from the Oulu University contact Arctic Nutrition, having heard that the company is looking for new innovative products for their portfolio. The researchers demonstrate the benefits of dry-freezing and the product they have developed. The cooperation starts. Elixir is developed by the workgroup of Professor Marina Heinonen. The team has come up with a unique set of ingredients and the production method for the product, ensuring that delicate nutrients of berries are not affected by any heat. Arctic Nutrition purchases the production facilities needed for making the Elixir, to ensure that the product is made in accordance with the plans. Charitable fundraising for K10 wards of Children’s Hospitals begins in cooperation with independent representatives. Some preferred customers also wish to be involved in this good work. The EU establishes the requirement that all foodstuffs imported from outside the EU must have a novel food permit when they are first introduced into the market, and therefore the company starts the lengthy permit application process for bringing the Noni fruit product back to the market. 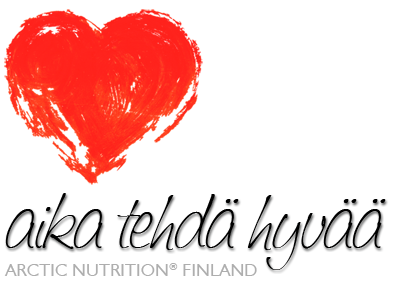 Arctic Nutrition is for the first time ranked among the best performers in their line of work and receives the AA+ rating from the rating company Suomen Asiakastieto. When the permit process is successfully completed, the sale of the Noni fruit product starts. The Basketball Association contacts Arctic Nutrition and explores possibilities for cooperation. In April 2015 Arctic Nutrition concludes a cooperation agreement with the national basketball team, Susijengi. The Basketball Association enquires about Arctic Nutrition’s interest in becoming involved in the training program of the Helsinki Basketball Academy. The cooperation starts. Junior level hopefuls participating in the training program are individually trained to consume the products. The parents of the players are also informed about the matter at the parent-trainer event. The company opens their office in Germany. The office is set up such that it could be used to service all of the Central European markets. We are a small and a close-knit team, joined by the passionate quest of bringing the wild food from Finland’s Arctic to each and every person. We believe that we have a clear vision and understanding about how we can help other people to find wellness and balance in their life. We are particularly proud of the fact, that in addition to our core team, we employ representatives in Finland, Germany, Sweden and Estonia.